Loves romance? 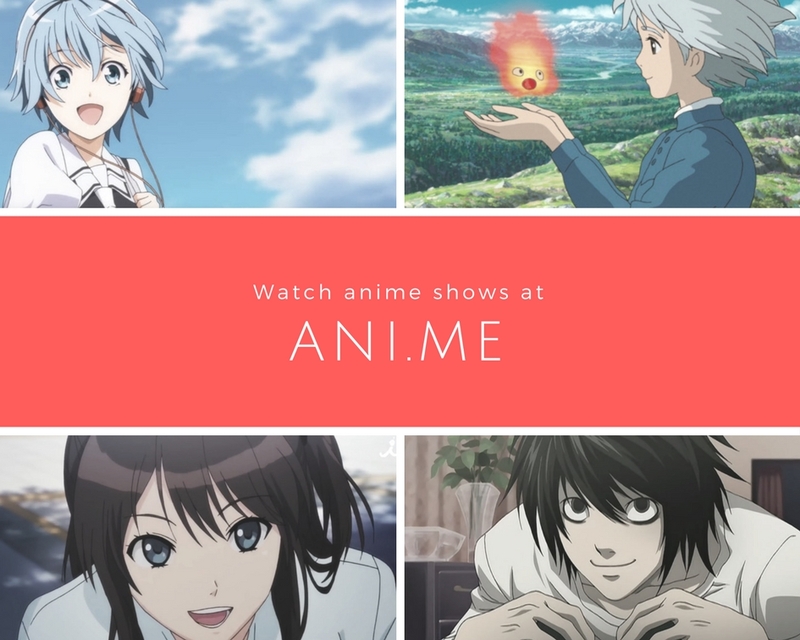 Who doesn’t want to watch anime that centers on romance? Hmm…maybe those bitter people who just recently had their heart broken. Kidding aside, romance is a major theme of most anime. Each has different love stories that are executed differently in anime. This is a list of anime whose love stories love stories are way too cute and remarkable in its own way. This list is not in rank order. Kaichou Wa Maid-Sama is one hilarious yet romantic anime that is definitely loved by viewers! The cute duo of Takumi Usui and Misaki Ayuzawa will surely make you feel giddy with their cat-and-dog relationship. The two has great chemistry with cute and sweet moments they have together. Misaki Ayuzawa is the student council president at Seika High School that was and recently an all-boys school. As a student council president, she is strict to keep the male student body under control. Because her strong personality, she is dubbed as the “Demon President”. But behind her reputation as the Demon President, Misaki is secretly working part-time at a maid café. However, when the popular student, Takumi Usui, went to the café where Misaki is working, Misaki is sure as hell that her reputation at school and her life will be ruined. Lovely Complex is one of my favorite romantic comedy anime with a mismatched pairing of lead characters. The lead characters, Risa and Otani, do not seem to like each other that they argue a lot. However, their insecurities and, surprisingly, their similarities brought them closer to each other. The anime revolves around Risa Koizumi, the tallest girl in the class with a height of 172 cm, having a bickering and love-hate relationship with the shortest guy in the class, Atsushi Otani, who is 156 cm tall. The two are labeled as the bizarre romantic comedy duo. Despite hating each other, Risa and Otani have lots of similarities that their hate relationship blossomed into friendship full of laughing, shouting at each other, and teasing of each other’s heights. But for Risa, her friendship with Otani deepens. Now, she struggles to make Otani know her feelings and that romantic relationship between a tall girl and a short guy can work. Toradora is an anime that portrays real-life situations that do not only focus on romance but also on the struggles of the characters. It really gives that “high school feels”. Ryuuji Takasu has an intimidating face that people labeled him as delinquent. But behind his intimidating looks, Ryuuji is gentle and love housework. In contrast, Taiga Aisaka is a small and beautiful girl but has a feisty personality. Because of her feisty personality, Taiga is labeled as the “Palmtop Tiger”. After Ryuuji found out Taiga has a crush on his best friend and after Taiga found out Ryuuji has a crush on her best friend, they teamed up to help each other getting close with their crushes. Ao Haru Ride is a great anime. It does not only focus on the romance blossoming between the lead characters, but it covers themes such as friendships, past events that cause changes to a person and rebuilding shattered relationships. This offers a lot of real life lessons that are greatly portrayed in the anime. Futaba Yoshioka was an attractive and popular middle schooler, had a crush on Kou Tanaka. Before she can even confess her feelings to him, Kou moved away at the end of the middle school. Now that Futaba enters high school, her personality changes. She acts tomboyish so she could not draw unwanted attention from other students. Unexpectedly, she meets Kou. However, Kou Tanaka is changed into Kou Mabuchi. Like her, Kou changed. Tanori no Kaibutsu-kun is a one of the hilarious anime I have watched. It focuses on the interaction between the apathetic and studious girl and the troublemaker boy. Friendship, though not the prevailing theme, slowly unfolded among the characters. Shizuku Mizutani is cold to other people. People started calling her “Dry Ice”. What she cares about? Her grades. One day, she is asked to deliver homework to her classmate, Haru Yoshida. Haru is a trouble maker and loves getting into a fight. But behind the tough personality of Haru, Shizuku discovers that Haru is actually desperate for friends. Haru proclaims Shizuku to be his friend and immediately confesses his feelings towards her. For someone who lacks social skills, Shizuku is having struggle understanding her relationship with Haru. Eventually, their friendship blossomed. Would love also mutually develop between them? From the creator of Toradora!, Golden Time shows experiences in life and being in relationships. It also realistically portrays the ups and down of real relationships in college. The anime is about a freshman, Banri, who is starting his life over at a private law school in Tokyo. After the opening ceremony, Banri is lost. He then meets Yanagisawa Mitsuo, also a lost freshman student, and they manage to go to their destination together. While walking in their destination, Mistuo is attacked by a young beautiful woman. The beautiful woman who attacked is Kaga Kōko, Mitsuo’s childhood friend whom Mistuo vowed to marry. However, Mitsuo desperately wants to get away from her. He even secretly took the law school entrance examination to that private law school. But determined to be with Mistuo, Kaga Kōko also took the law school entrance examination. Little did they know, Kōko’s grand entrance leaves a lasting impression on Banri. Ore Monogatari is a hilarious and sweet anime that portrays innocence and kindness in this modern world. It is really a great story of friendship, romance, and kindness. Takeo Gouda is tall and has muscular built that is not common for a freshman high school. Even with his intimidating looks, Takeo has a golden heart and is considered a hero by the boys because of his courage and chivalry. Unfortunately, these traits fail him in his love life. His looks scare away other girls. Aside from that, his cool and handsome best friend, Makoto Sunakawa, effortlessly attracts many girls, even those girls whom Takeo likes. When Takeo saves the angelic Rinko Yamato from being molested in the train, Takeo falls in love with Rinko. However, he suspects that Rinko likes his best friend, Sunakawa. So, he acts as cupid between Rinko and Sunakawa, even though he loves Rinko. Have you watched all these? Which one is your most favorite love story? If you have recommendations, comment it down below so that I can watch it and have it on my list. why is nisekoi not here? they have a cool love story too! ao haru ride! so much feels in this anime!